The mango is known as the ‘apple of the tropics’. It is native to Asia but also Southern California. This rich, exotic butter is cold pressed from the seed kernel of the mango fruit. Its high content of stearic acid gives it similar properties to cocoa butter and it is rich in beta carotene and vitamins A and E. It is highly moisturising and has excellent softening and regenerative properties. It is thought be protective against UV rays. It is claimed that mango butter can help to reduce the degeneration of the skin’s cells and help to restore elasticity, so would make an excellent ingredient in products for mature skins. You cannot go wrong; I use mango butter + coconut oil + apricot oil on my daughter and wouldn't change. 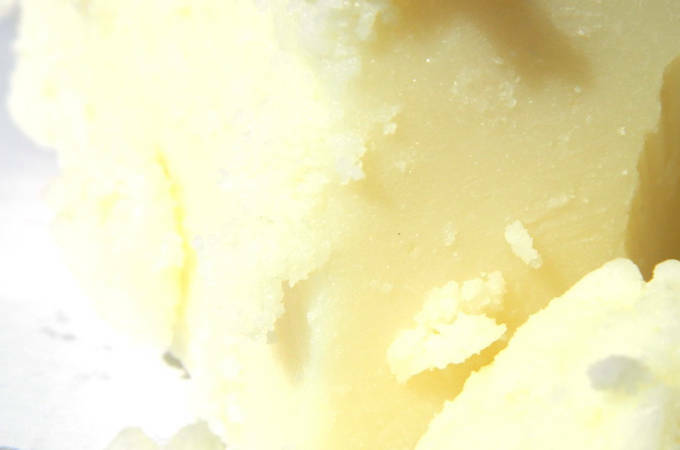 I really like the texture this butter gives to balms and butters. rnrnI use it in my hand balm which is my best seller product!